I just completed a tour of Hardees remodeled restaurants in the Southeast and I wanted to thank you for the terrific work Wathco has been doing on the Hardees Restaurant remodel program. The quality of your work was exceptional and the restaurants look great. You continually show a “can do” attitude no matter what problems you encountered and managed to finish on time and on budget. Your dedication is one of the reasons we have had so much success with our remodel program. You and your company are a please to work with and I am looking forward to working with you in the future. Carlson Restaurants would like to recognize Wathco Inc. General Contractors for their dedicate and continuous support to ensure the timely construction delivery of the mile one Westbury re-model project on Long Island, New York. 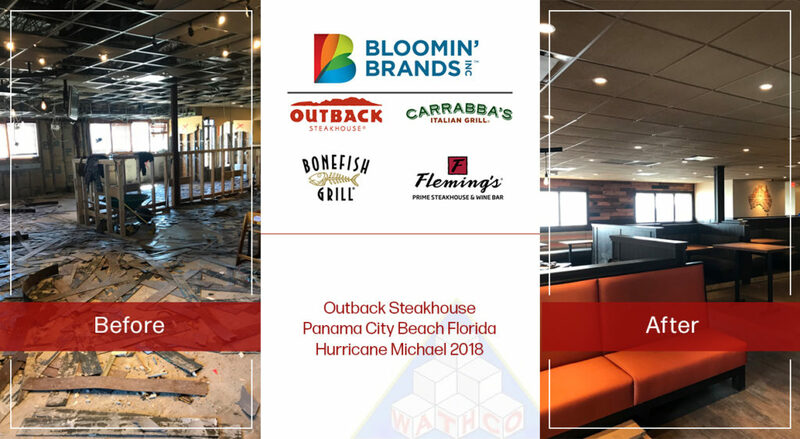 We truly appreciate Wathco’s effort in completing this flagship restaurant, going above and beyond in putting together an “A” list team to research quality materials and assemble a squad of top-notch sub-contractors. Your strong partnership with our project management team and commitment to hiqh-quality detail finishes and workmanship have ensured a beautiful execution of design, minimal down time for the restaurant and a timely grand re-opening on December 9, 2010. Jason Walder – owner and Andre Kowalski – site superintendent – thank you for your outstanding partnership and commitment to the future of the TGI Fridays brand!